This Site and all its Contents are intended solely for personal, non-commercial use. You may not reproduce (except as noted above), publish, transmit, distribute, display, modify, create derivative works from, sell or participate in any sale of or exploit in any way, in whole or in part, any of the Contents, the Site or any related software. 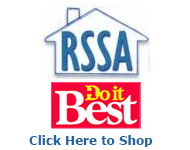 All software used on this site is the property of rssahomecenter.com, or its suppliers and is protected by U.S. and international copyright laws. 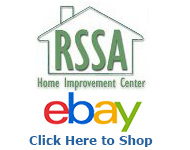 The content and software on this site may be used only as a shopping resource. Any other use, including the reproduction, modification, distribution, transmission, republication, display, or performance, of the content on this site is strictly prohibited. You agree to use this Site only for lawful purposes. The following activities are strictly prohibited: (i) misrepresenting the identity of a user; (ii) tampering with this Site; and (iii) conducting fraudulent activities.